Two of my recent essays have pointed to a deep tension in Christian ethics rooted in Jesus’s own teaching. The first essay – “How Should We Treat Our Enemies?” – unpacked Jesus’s groundbreaking command to love our enemies. Jesus taught this command so emphatically that he seems to require obeying it as a condition for salvation: “Love your enemies…that you may be children of your Father in heaven” (Matthew 5:44-45; Luke 6:35). As we know, Jesus himself died asking God to forgive his killers (Luke 23:34). The second essay – “Jesus’s Condemnation of Abuse” – unpacked Jesus’s fierce teaching against abuse. Jesus was so severe that he said it would be better to die a terrifying death than to harm a vulnerable person (Matthew 18:6-9; Mark 9:42-50; Luke 17:1-5). Jesus had zero tolerance for abusive behavior. If you only read my first essay, you might think that Jesus wants us to “love” our abusers and “sacrificially” accept their violence like he did on the cross. But if you only read my second essay, you might think that Jesus wants us to advocate and enforce anti-abuse policies with severe punishments for violators. So how should we dwell in this ethical tension: love your enemies but have zero tolerance for abuse? What if your enemy is abusing you or another neighbor? What does it mean to love them like Jesus commands? In my course Neighbor-Love (Lecture 5, Section 6), I discuss the thought of Thomas Aquinas (1225-1274). Aquinas was the most important Christian thinker in the medieval period, and his writings continue to influence Christian thought to this day. 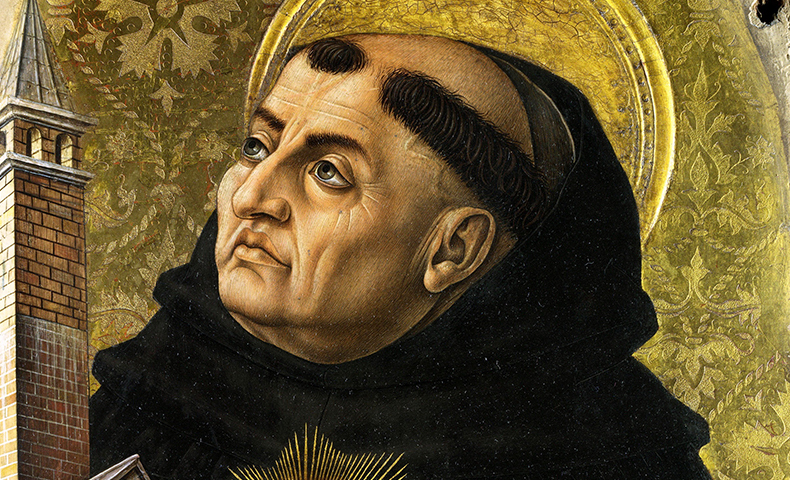 In his massive Summa Theologica, Aquinas developed a thought-provoking argument for overcoming this ethical tension. The heart of Aquinas’s position is captured in this statement: “Hatred of a person’s evil is equivalent to love of his good. Hence also this perfect hatred belongs to love” (Summa, IIaIIae, Q. 25, A. 6). Aquinas’s point is straightforward. No one would “love” for a friend to have cancer. Instead, our love for them would make us hope and pray for the surgeon’s scalpel and/or the radiation’s heat to eliminate their cancer. To love the person is to hate their cancer and thus to desire their health and flourishing, even if it requires a painful intervention. Aquinas thinks the same logic applies if the “cancer” is injustice or some other evil in a person’s character. To truly love our abusive enemy, we should hate their abuse with “perfect hatred” and thus try to defeat it for the other’s ultimate wellbeing. Strikingly, Aquinas breaks with his intellectual mentor Augustine (354-430) and argues that even the death penalty can be a form of love for others. Aquinas gives three practical arguments in defense of his position. When we stop someone’s abusive behavior, we love the neighbors that they would harm. This is an extremely important point: there is almost never, if ever, a two-person moral neighborhood. If I think “loving” my neighbor means allowing them to behave in ways that damage other neighbors, this isn’t an adequate vision of love. For Aquinas, the “public good” – love for other neighbors and our shared life in society – justifies and requires forceful intervention against injustice as an act of love. Second, Aquinas argues that the fear of punishment, including capital punishment, can motivate the abuser to repent, convert, and be saved, despite temporary pain. Aquinas’s point is practical and intense. If I know that, say, abusing my neighbor could lead to prison or losing my life, Aquinas thinks there’s a much better chance that I won’t do it, which is good for me and good for my neighbor. But if I’ve already committed injustice, proportionate punishment can force me to face the seriousness of my evil actions and lead me to repent and change, which is ultimately saving and also for my good. Think again of cancer: if chemotherapy could save a loved one’s life, most of us would encourage it. Aquinas’s point is that letting people “get away” with their evil actions isn’t actually loving them and could lead to their eternal death. The surgery of intervention may actually be the more loving thing to do. Third, Aquinas argues that even if the abuser doesn’t repent, forcefully stopping them will prevent them from sinning further and thus from increasing their guilt before God in the afterlife. This week marks the 25th anniversary of the Rwandan genocide in which 800,000 primarily Tutsi Rwandans were slaughtered by Hutu extremists. Genocidal killing is a grievous evil in the eyes of God. So Aquinas’s point is that stopping people from doing this, even if it requires fatal intervention, is actually loving them in light of the afterlife. Aquinas’s logic is counter-intuitive but plausible when we stop and think about it. The Hutu extremist faces God with dozens or hundreds or thousands of lives on his hands. What if someone had killed him to defend the innocent and that number were smaller? Before the throne of God, Aquinas thinks that man would thank the person who killed him. (Aquinas assumes – unlike many Christians today – that what we do actually matters to God and affects our future lives.) Aquinas’s point is that even killing to prevent evil can be an act of love for the wellbeing of our enemies. Aquinas’s three arguments make an altruistic – other-loving – defense of forcefully opposing those who do evil. When we stop injustice, we love our victimized neighbors; we give our abusive neighbor the chance to repent and be saved; and we prevent them for sinning more and further damning themselves. Thus, for Aquinas, there isn’t ultimately a tension between loving our enemies and condemning their abuse. Aquinas insists that we can love our enemies precisely by hating their evil and stopping them from committing it – even to the death if necessary. Aquinas’s arguments are powerful. They provide the basic foundation for “just war” theory and principled resistance to evil, whether that be domestic abuse or political tyranny. But a challenging question remains for Christ-followers. Aquinas’s defense of violent love isn’t what Jesus himself taught (see Luke 6:27-29). Of course, Jesus did not teach passivity. People often mistake passivism (doing nothing) for pacifism (actively making peace). The point of turning your other cheek and offering the shirt off your back is to make a defiant but nonviolent statement of agency in the face of your oppressor: “I’m here. I’m a person. You haven’t crushed me. What you’re doing is wrong.” But this nonviolent protest is different from Aquinas’s altruistic violence. What might Jesus have thought of Aquinas’s argument? Can we find evidence in Jesus’s teaching that supports principled resistance to injustice?